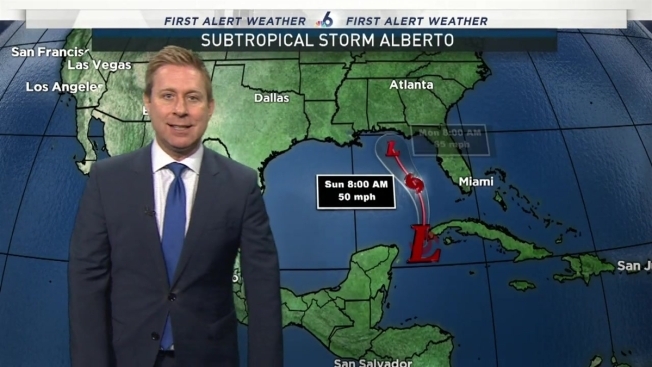 NBC 6 meteorologist Adam Berg provides a forecast update. Florida Gov. Rick Scott on Saturday declared a state of emergency for Florida in anticipation of Subtropical Storm Alberto, though South Florida will not be directly impacted. Scott's emergency declaration is in effect for all 67 of Florida's counties. The state of emergency allows state and local governments to have the time, resources and flexibility to prepare for the storm, Scott's office said. "If any Florida family doesn’t have an emergency preparedness plan, now is the time to act. Remember, the track of these storms can change without notice. Do not think that only areas in the cone will be impacted – everyone in our state must be prepared," Scott said in a statement. Subtropical Storm Alberto formed over the northwestern Caribbean Sea Friday, becoming the first named storm of 2018 days before the start of hurricane season. Alberto had maximum sustained winds of 40 mph and was about 65 miles north-northwest of the western tip of Cuba, according to the 2 p.m. Saturday advisory from the National Hurricane Center. The storm is expected to bring wet weather to South Florida through the Memorial Day weekend and has a flood watch issued for Miami-Dade and Broward from 8 a.m. Saturday to 8 p.m. Sunday. The system is expected to stay to the west of South Florida as it moves north or northwest through the Gulf of Mexico, making landfall by Monday or Tuesday. Rainfall accumulations of 4 to 8 inches with maximum amounts of 12 inches are possible across the Florida Keys and southern and southwestern Florida, according to the NHC. A tropical storm watch was in effect for the east coast of the Yucatan Peninsula from Tulum to Cabo Catoche and for the Cuban province of Pinar del Rio. Alabama Gov. Kay Ivey also declared a state of emergency for several counties ahead of Subtropical Storm Alberto. The order effective at 6 a.m. Sunday covers 40 counties across the southern portion of the state. The National Hurricane Center on Saturday issued a tropical storm warning for Alabama's coast, saying tropical storm conditions are possible there by early Monday. 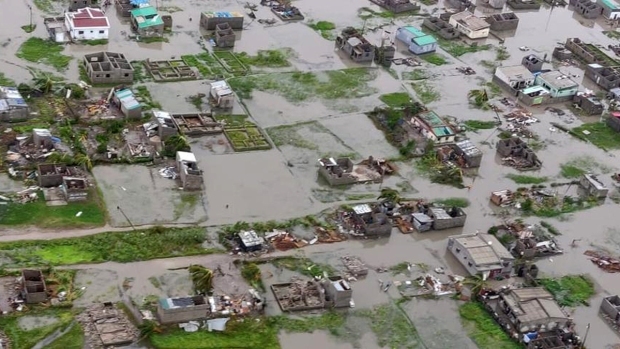 Forecasters say a wide area will get 3 to 6 inches (8 to 18 centimeters) of rain, with 6 to 12 inches (15 to 30 centimeters) closer to the coast. Ivey's announcement says Alabama residents should be "prepared for the potential of significant flooding." By declaring an emergency, Ivey is directing the appropriate state agencies to exercise their authority to assist communities and entities affected by Alberto. Portions of the northern Gulf Coast are likely to experience tropical storm force winds and storm surge. An Air Force Reserve reconnaissance aircraft is scheduled to investigate the weather system Friday. The tropical threat comes earlier than usual. The six-month hurricane season doesn't begin until June 1.